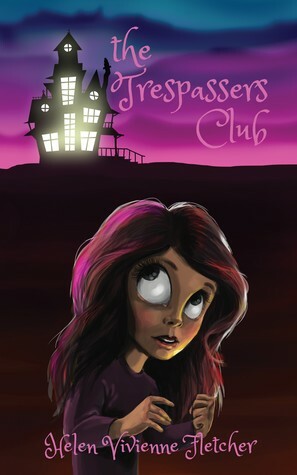 Trespassers Club was just supposed to be a game, but sometimes going places you shouldn’t has consequences … Laura has always spent her free time playing Trespassers Club with her sister, Katy. But Katy just turned thirteen and isn’t interested in playing games anymore. When their family moves suburbs, Laura discovers an old abandoned house on her street. It seems like the perfect hideout, but something – or rather someone – is already hiding inside. Laura meets Jacob, a runaway teen in a lot of trouble. Who is Jacob and what is he hiding from … Will Laura get herself into trouble if she gets involved? My love for mystery began as a schoolkid and library lover who devoured the Hardy Boys books and Enid Blyton's Secret Seven series as an adolescent and younger (for whatever reason I read the Secret Seven rather than the even-more-well-known Famous Five). So among all the adult crime novels I read nowadays, it's nice to revisit middle grade and YA mysteries now and then. The books obviously tend to have a different level of violence and complexity, among other things, but they can still be cracking fun stories even for adult readers. Wellington author Helen Vivienne Fletcher, a 2018 finalist for the Ngaio Marsh Awards for her debut young adult thriller BROKEN SILENCE, a harrowing and emotional tale about teen bullying, shows an equally good knack for middle grade fiction with THE TRESPASSER'S CLUB. This is a charming wee page-turner about Laura, a youngster who loves to go adventuring with her thirteen-year-old sister, struggles when the family moves and her older sister starts withdrawing, and then stumbles over a runaway teenager in an abandoned house. The runaway is wanted by the cops and is on the news, and Laura may unwittingly have made things much worse when she tries to help. While THE TRESPASSER'S CLUB may not have the gut-punch issues of Fletcher's YA tales (appropriately so, given the younger audience), it is threaded with plenty of issues that will resonate with middle grade readers: sibling rivalry, accepting yourself and others, struggling with change. There's some good adventure and tension, some bad kids that Laura and the others have to thwart. The characters are well-drawn and there's a nice sense of the suburban environment. Overall this is a quick, fun read for adults and I expect it would be a really excellent read for 9-13 year olds. One to buy for your kids, or nieces or nephews. And maybe read yourself too.